Based in Guadalajara, DMSolar is a six-year-old company that has rapidly become Mexico’s largest solar technology distributor. Switching to Microsoft Office 365 from a fragmented solution that included Google Drive, Dropbox, and business telephony company Alcatel, DMSolar has improved security and collaboration with Microsoft SharePoint Online, eliminated dropped calls and down time with Skype for Business, and realized its mobility goals thanks to the synergies between Skype for Business, SharePoint, and Microsoft OneDrive. This new solution will carry a lower total cost of ownership and is expected to pay for itself within two years. With much of country bathed in sun, Mexico is a prime location for solar installations. 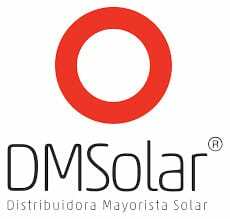 In 2012, three friends, all recent graduates of Universidad Panamericana in Guadalajara, formed DMSolar. Today, the company is the largest solar distribution company in the nation, with headquarters in Guadalajara and offices in Monterrey and Mexico City. A large and steadily growing customer base, now somewhere between 400 and 500 solar installation companies, has driven DMSolar to expand operations on a near-yearly basis. The newest headquarters is six times the size of the company’s previous location. The number of employees working at DMSolar has also more than doubled in the last year alone. While growth is almost always a good thing, rapid growth often exposes the flaws in a young company’s business model. Cofounder and General Director Andres Gonzalez, along with his partners, often found the company’s workforce stretched to their limits as they tried to keep up, especially when existing hardware, like unreliable phone connections in their offices, let them down. Early on, these problems could be addressed piecemeal. On-premises telephony solutions could mitigate the bad phone system, Dropbox could house company paperwork, and Google Drive made do as a platform for collaborating on documents. But a cobbled-together solution only works when your business is small, and your workforce has the extra time needed to navigate disparate systems. As the move to new office locations loomed, Gonzalez and his team decided it was time to find a new, comprehensive solution capable of growing with the company’s collaborative and communicative needs. Influenced by its presence in film and media, Gonzalez first looked into adopting Cisco products at DMSolar. But, aided by IT partner Wolk LAB, he soon discovered that Microsoft Office 365 would better serve the company’s needs and represented a substantial savings in startup costs. Wolk LAB consultants then suggested Office 365, which they viewed as a more dynamic product capable of quickly scaling to meet the company’s needs. Though he was new to working with Microsoft, Gonzalez saw the value in the features delivered by Office 365. “I wanted to give every DMSolar employee the ability to work from anywhere, as if they were still in the office. Without Microsoft, we didn’t get that,” reflects Gonzalez. Office 365 also offered a broad selection of services that Gonzalez could see DMSolar taking advantage of in the future. Gonzalez’ interest was piqued. “I ran a cost analysis before adopting Office 365 and discovered that the solution would pay for itself within two years,” he recalls. That was the end of deliberation. Adoption of Office 365 was scheduled for February of 2018, coinciding with the opening of new offices in Mexico City. It takes a customer between a week and a month to install the solar technology DMSolar distributes, depending on the scale of the installation. During that time, it is very important that DMSolar engineering teams are available to answer questions and troubleshoot any issues the installer runs into. Depending on customer needs, even Gonzalez and the other managing directors can make themselves available, but with the growth of their company the partners now find themselves on the road as often as in the office. “We use the voice capabilities built into Office 365 several times per day,” says Gonzalez. “For an upcoming meeting, one of the partners will be in Panama for a tradeshow, I’m going to be in Guadalajara, and our third partner will be in Mexico City.” Prior to adopting Office 365, two of the three partners would have simply been unavailable for the call. This level of customer service wasn’t up to Gonzalez’ standards, and it caused him frequent duress. “With Office 365, we have better ways of working, better productivity, and reduced stress levels,” says Gonzalez. Selling solar installations is a lot like selling any technology, especially where documentation is concerned. “We have a huge amount of information on each product, from spec sheets to certificates to insurance policies. All of that has been moved to SharePoint, which gives us added security and saves me a lot of time,” says Gonzalez. Working from a single Dropbox account, Gonzalez previously needed to act as the gatekeeper of sensitive company documents. Employees had to email him and ask for a copy of the document they needed, after which Gonzalez would have to confirm their needs before sending the document along. It was a system that the company had outgrown. With Microsoft SharePoint Online, the company has been able to set security clearance levels within each department, allowing employees with the proper clearance to access any document they need, whenever they need it. Every employee has access to Microsoft OneDrive, allowing them to store and access personal work files and shared files from any device, which makes remote work easier and faster. “You don’t see the lost time,” says Gonzalez. “You think that you’re a very productive company, but working with Microsoft has given every employee at DMSolar back 15 minutes of their day.” For the company as a whole, that adds up to nearly 11 hours of added productivity each day. It has only been a few months since DMSolar started using Office 365, and the company has already transformed business operations using Skype for Business and SharePoint. Costly, disparate systems from Google, Dropbox, and Alcatel have been replaced by Office 365. But this growing company isn’t stopping there. As the company grows, so will the value it gains from Office 365, and Microsoft will be there for them every step of the way. Find out more about DMSolar on Facebook and LinkedIn. With Office 365, we have better ways of working, better productivity, and reduced stress levels."